Last night’s Nexus-fest that started after Samsung posted a teaser to their CTIA event has already created enough talking points to take us through to next Tuesday. The video did not give us much, but as with any teaser, folks spotted what they believe to be hidden messages like the one we are about to talk about. The topic of the video was the idea that some things are just better when they are put together: candles and wine, cookies and milk, newspaper and coffee, etc. So when G+ member Joe Lancaster paused it when the new Nexus showed up, he noticed an extra shadow or outline behind it that he believes may be a tablet of some sort. 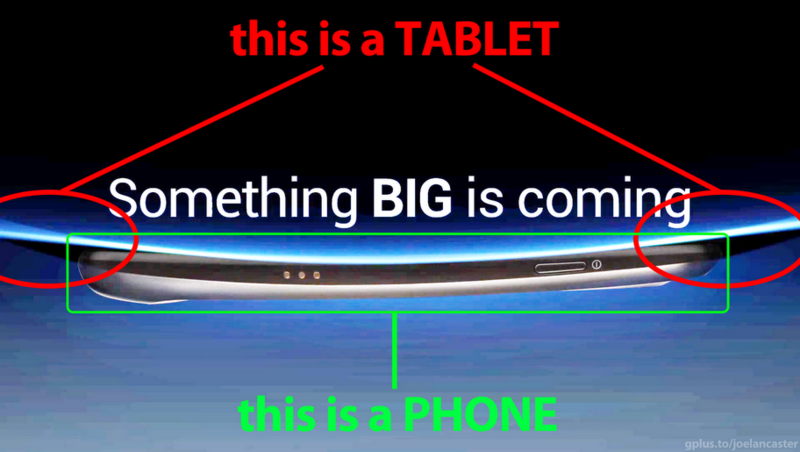 His idea – that the Nexus that will be unveiled will also have the ability to be docked inside a tablet. Seem crazy? Yeah, pretty much, but let’s talk about it. See those 3 pinholes on the left side? Those look like docking connectors of some sort. It certainly seems odd that a phone would dock on the same side as its lock switch, but the MHL port is likely on the bottom so they needed to move them somewhere. The logistics of it all seem impossible, but with a “better together” theme, we should keep our minds open to all possibilities. With that said, Samsung could simply be referring to Ice Cream Sandwich which is the merging of a phone operating system with one from a tablet. And the shadow that looks like a tablet behind the Nexus is just a visual opportunity for that idea to be displayed. That’s a pairing that Google has been talking about for quite some time. It could also mean that Samsung and Google are just better together among other things. Interesting idea – and this is why we love teasers. And the video one more time because it’s that awesome.